Get your copy in the shop. 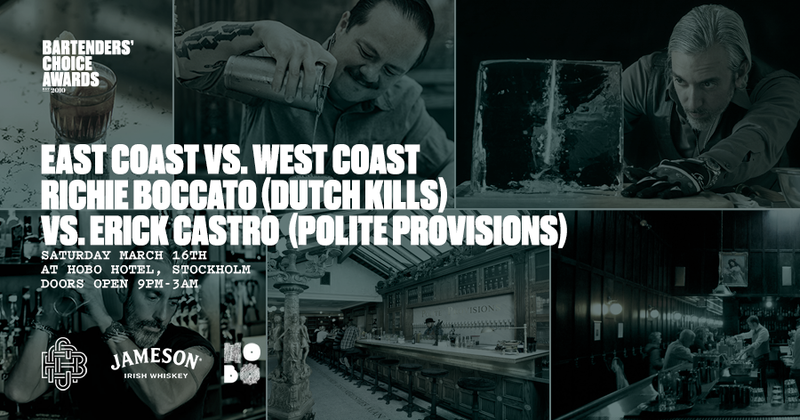 Bartenders’ Choice Awards in collaboration with Jameson Irish Whiskey proudly presents Richard Boccato (Dutch Kills & Fresh Kills, NYC) & Erick Castro (Polite Provisions & Raised By Wolves, San Diego). On Saturday, March 16th Richard Boccato and Erick Castro will go head to head in the bar at 5emman, Hobo Hotel to represent their respective home turf with four drinks each on the menu. Doors open at 9:00 PM and we stay open until 3:00 AM! Richard Boccato was born in Florence, Italy and raised in Brooklyn, New York. From 2005-2009 he was employed as a bartender at Little Branch and Milk & Honey, respectively. In May 2009 Boccato and Sasha Petraske swung the doors of Dutch Kills; a cocktail saloon in Long Island City Queens where crystal-clear block ice has been hand cut behind the bar to fit any variety of beverage since the day it opened to the public. 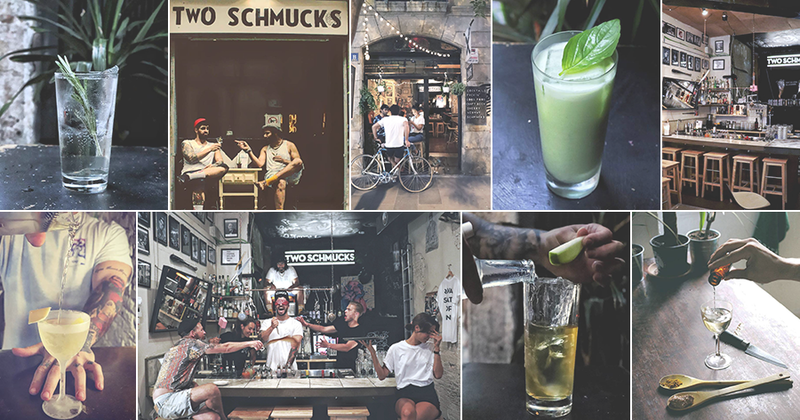 Dutch Kills was named “Best International Bar” at the annual Bartenders’ Choice Awards in Stockholm in 2013 (it was nominated for the same award again in 2015). In March 2016, Boccato opened Fresh Kills Bar, the first of his professional efforts in his native Brooklyn. Erick Castro initially built his cocktail empire at San Francisco's Rickhouse and Bourbon & Branch by searching for obscure recipes, methods and ingredients that originated prior to Prohibition. The bartending behemoth has created unique beverage programs that have earned a place on some of the nation’s most coveted lists, including Esquire's Best Bars in America, Food & Wine’s “World’s Top Bars” and countless nominations at the prestigious Tales of the Cocktail Spirited Awards in New Orleans. In 2016, Castro's bar Polite Provisions was nominated for a James Beard Award for Outstanding Bar Program, as well as a Spirited Award at the prestigious Tales of the Cocktail in New Orleans. Since then, he directed and co-wrote the award-winning documentary, Bartender at Large, which has screened around the world in over 30 cities. Please join us in what will be a night to remember! Bartenders’ Choice Awards together with Jim Beam Black are flying in hyped cocktail bar Two Schmucks from Barcelona for a one night guest shift on Saturday Dec 15 at Hobo Hotel in Stockholm. Join us at Hobo Hotel for world class cocktails and good times. Doors open at 11PM on Saturday Dec 15. First come, first served. The BCA Week 2018 Schedule is live! For the first year, Bartenders Choice Awards will be extending its wings into a week long celebration leading up to the gala held on December 16th at Grand Hotel Stockholm. Stockholm's top venues are opening up their doors for you the public to experience an intimate behind the scenes look into what goes into award winning cocktails. To get your tickets to the different events and the Award Ceremony, go to the event page and pick your event! On Sunday December 16th it is finally time to announce all the winners of BCA2018 at Grand Hotel in Stockholm, Sweden. Join us as we announce the winners of the 9th annual Awards over cocktails, canapes and much much more! Don’t miss out on the biggest celebration of the nordic cocktail scene! Bartenders’ Choice Awards together with Plantation rum are flying in Marcis Dzelzainis from newly opened Fare Bar + Canteen in London for a one night guest shift on Saturday Dec 8th at Hobo Hotel in Stockholm. From critically acclaimed bars such as Satan’s Whiskers and Sager & Wilde, Marcis has picked up not only the respect of the cocktail community but also the award for Best International Restaurant Bar at Tales of the cocktail with Sager & Wilde. Join us at Hobo Hotel for world class cocktails and good times. Doors open at 7PM on Saturday Dec 8th. First come, first served. Bartenders’ Choice Awards together with Absolut Vodka are flying in Yael Vengroff and Christine Wiseman for a one night guest shift in Stockholm on Saturday Nov 24th at Hobo Hotel. Christine, currently managing the celebrated and eclectic cocktail bar Broken Shaker, one of Downtown LA’s most talked about rooftop bars. Yael, American Bartender of the year, resides at the The Spare room, found in Hollywood Roosevelt Hotel where you can practice bowling skills in one hand (the bowling lanes dating back to the early 1800s) while drinking world class cocktails in your other. Join us at Hobo Hotel for world class cocktails and good times. Doors open at 7PM on Saturday Nov 24th. First come, first served. Talented Swedish jewelry designer Yasar Aydin has once again created the Bartenders’ Choice Awards statue. All 40 statues are one of a kind with a hand sculpted ceramic body, glazed and hand painted with gold. The base and cocktail glass features poplar wood, hand engraved brass and sterling silver. This years edition of the desirable statues will be handed out to all worthy winners, December 16th in Stockholm, Sweden. Thank you Yasar for your extraordinary work. December 16th. all winners will be announced live and in grand fashion at Grand Hôtel in Stockholm, Sweden. Jury members, sponsors, partners and consumers will enjoy live music, amazing cocktails and of course the joyous atmosphere and celebration of all the winners. BCA is going on tour to announce the BCA2108 nominees. From November 4th. we will visit Finland, Denmark, Norway and Sweden to meet jury members, announce the nominees and inform about upcoming BCA events. We just might also check out the local bar and restaurant scene. On Saturday, March 21st we had the honour of hosting Jack Banks and Goran Aziz of the award winning Dandelyan to Stockholm for the latest in the series of BCA Guest Shifts. The Dandelyan team have focused on bringing a neighbourhood vibe to the glamour of a 5 star hotel. Looking at recent awards, they have for sure accomplished just that. The featured drinks was from their latest menu "The Modern Life of Plants" such as the delicious 'BC3 Negroni' with pollen vermouth, arrak and aged honey and Dandelyans own Cosmopolitan version 'Canon Cosmo' with Absolut Vodka, pink sour mix and almond. Thank you Jack and Goran for an amazing guest shift. Hope to see you soon at Dandelyan. Here are some pictures of yesterdays winners at Bartenders' Choice Awards. Congratulations to everyone and thank you to everyone that attended and made this an unforgettable gala. 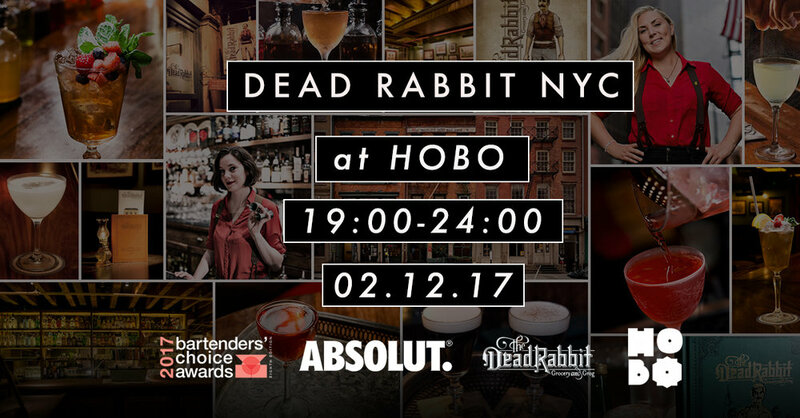 Together with Absolut Vodka we had the great pleasure of hosting a guest shift with one of the most award winning cocktail bars in the world, The Dead Rabbit from New York City. The guest shift took place at Hobo Hotel where Jillian Vose and Madeleine Rapp served signature cocktails from their celebrated bar. It was all smiles all night from the two ladies behind the stick and their craftsmanship, finness and passion for cocktails was on full display. Thank you and hope to have you back soon. In collaboration with Absolut Vodka we invite you to enjoy cocktails created by two absolute world class bartenders. These two are no other than Jillian Vose and Madeleine Rapp who can be found behind the stick at the award winning New York bar Dead Rabbit. This exclusive guest shift takes place at the bar 5emman, at Hobo Hotel in Stockholm on Saturday, December 2nd, The doors open at 19:00 and closes 24:00. Drinks are served on a first come first served basis. Dead Rabbit has won pretty much everything you can win at Drinks Internationals Worlds 50 Best Bars and at Tales Of The Cocktails Spirited Awards. Also, don't miss out on the Dead Rabbit seminar on Sunday, December 3rd. The session starts at 15:00 at Hobo Hotel. We will go into the depths and dig into Madeleines and Jillians successful careers as bartenders and discuss all this from a female perspective. What does it mean to be a woman in the bartending industry? How can we attract more women to the profession? What can we jointly do to create better conditions for everyone and bring more equality to the industry? This years edition of the desirable statues that will be handed out to all worthy winners, December 17th in Stockholm, Sweden. Once again the statues are designed by talented Swedish jewelry designer Yasar Aydin. All 34 statues are one of a kind with a hand sculpted ceramic body that is semi glazed and hand painted with genuine gold. The base and cocktail glass features poplar wood, hand engraved brass and sterling silver. 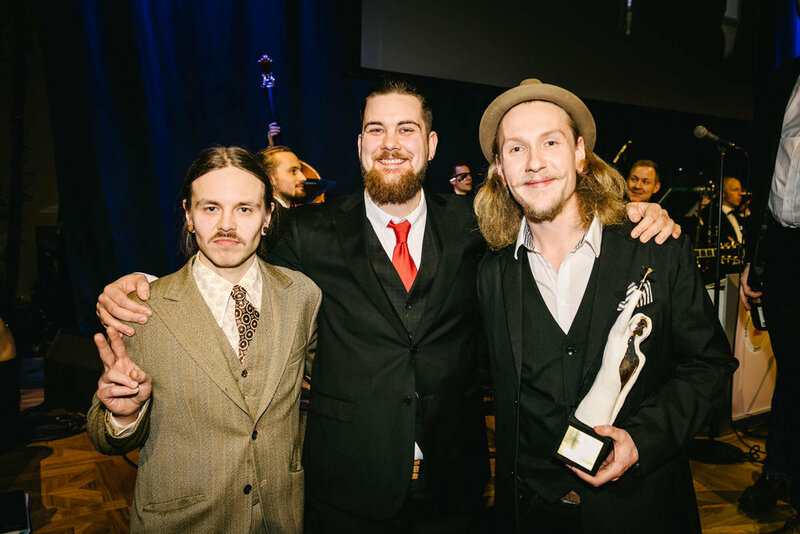 On Tuesday, November 7th the nominees for 2017 was announced during a casual ceremony at Hobo Hotel in Stockholm. This year we are more than excited to announce nominees in Sweden, Norway, Finland and Denmark and also add a category for Best Restaurant. It's with great pleasure we welcome Denmark, Finland and Norway to the BCA-family. BCA has been active in Sweden for eight years now and it is about time we expand and do this together with our neighboring countries. The bar scenes in respective countries are vibrant and already well respected around the world and this will hopefully add even more attention to the many great bars in the nordics. Each country will have their own jury of industry professionals, all with an extensive level of commitment and expertise within cocktails. It will be amazing to witness everyone togeather at the gala, December 17th in Stockholm. Together with Plantation rum we had the great pleasure of hosting a two night pop up bar with one of our favorite bars in the world, Pouring Ribbons in New York. The pop up took place at Hobo Hotel and American bartender of the year Joaquín Simó and head bartender Brooke Toscano served signature cocktails from their celebrated bar. Needless to say they killed it. Thank you and hope to have you back soon.